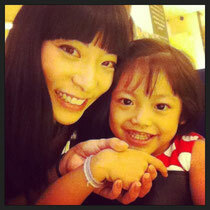 In February 2013, I was invited to the charity gala dinner of Camillian Home for Children Living with Disabilities as a reporter to cover the event in two online magazines I’d been doing freelance writing for: coconutsbangkok.com and catandnat.com. At that point in my life I had been working in Bangkok for two years as a lifestyle correspondent and public relations consultant. Gala dinners and charity events were a dime a dozen in my daily routine and the thought of getting dressed up for yet, another wine dinner wasn’t exactly the most exciting thing for me. I was hoping something better would come up, but nothing did, so I arrived at the Four Seasons just as first course was being served. I didn’t get to mingle with all the guests since they were seated already, but most of the faces at my table were new. Sitting next to me was a long-time supporter of Camillian Home, a French man named Arnaud. He ended up bidding over 150,000THB for a pair of earrings by Italian jewelry maker Casato. It was such a thrill to be so close to the action that was taking place during the live auction. It felt as if everyone was really there for the right reason and that each bid increment was made with the charity in mind. This wasn’t the kind of auction where people walked away with “bargains” like I’d seen so many times before. After the main part of the event was over I got to talk to one of the Camillian Home committee members, Judith Coulson who told me something that really struck my curiosity and left a strong impression on me. She said there was a volunteer named Faisal Malik who had been helping Camillian Home full time for 3 years without taking a salary. I just couldn’t imagine how anyone, especially someone so young could give up so much to do charity work. I didn’t know it that night, but this man would eventually become my fiancé. A few months into dating, we took a trip to Chiangmai and I started thinking of ways I could help the Home. During my initial visit to the Home, I’d noticed that some murals were painted along the wheelchair ramps and they really brightened the place up. Since I’d begun my career as an art curator I was in touch with some artists so the first thing I did was start a project called “Colors of the Heart” in May 2013 where I invited artists to paint murals at the Home. Over the next few months about 7 artists came to leave their beautiful legacies on the walls. Today we are working on the second part of this project to bring another wave of artists to the Home. To celebrate the completion of the first part of “Colors of the Heart” I decided to organize a fun fair at Camillian Home in September 2013. I remembered on the night of the gala dinner, one of the guests Natalie Glebova mentioned that the gala dinner should be held at the Home so that people who hadn’t been there could have a chance to visit it. This was the main goal of “Colors of the Heart” – to simply give people a chance to visit the Home and have fun at the same time. The event came together nicely and I was able to garner support from all the people and companies I’d met in my two years of working in media and public relations in Bangkok. We had local musicians putting on an all-day long live show, food vendors, auction prizes, and many sponsors who helped to cover costs so that we raised a total of 240,000THB that day. Most importantly, people who never made it out to Camillian Home before actually came and got to know the Home on a deeper level. In the past year that I’ve been volunteering at Camillian Home I’ve organized several fund-raising events, including the most recent “Shop For A Cause” Celebrity Jumble Sale at the Dusit Thani Bangkok Hotel in February 2014, and smaller events such as the Christmas party and Valentine’s Party at Camillian Home. On a daily basis I take care of Public Relations by giving tours to visitors, composing newsletters, managing the Facebook page and website, and getting my friends involved in different ways to help the Home. It’s been so overwhelming how kind and generous people can be. Even those that I considered to be “party friends” or “Facebook friends” have ended up contributing in some way. In May of 2013, I moved into Camillian Home and started renting out my 2bed2bath condo on Airbnb.com. The income I make from renting my condo per night is more than enough to cover my living costs and add to my savings. I still take on writing jobs if they pay a good amount and don’t take up too much of my time. Modeling has been going surprisingly well too, even though I’ve stopped going to castings, I’m still able to get high budget jobs at least once a month. I also managed to curate five art shows in eight months while being a full time volunteer at Camillian Home. I know that many people are afraid to make the commitment to volunteer, but in my experience everything in life falls into place when you help others with a pure heart, and there are no sacrifices or compromises. I’ve gained so much more than I ever expected from my volunteer work here. I’ve learned so much about myself and my own capabilities; in fact I’ve actually increased my skill set. Before Camillian Home, I had no idea I could organize events, or edit a website, or that I could really make a difference in anyone’s life. I feel privileged for this opportunity to help disadvantaged children living with disabilities. To see the joy on the faces and hear the happiness in their laughter and knowing that I played a role in giving them the best quality of life possible, that’s what drives me to continue volunteering at Camillian Home. In February 2012, I had a great opportunity to participate in a surgical mission organized by Operation Smile Thailand in the province of Nan, in northern Thailand. It was my very first experience volunteering in a charity mission. However, this experience brought me new perspectives on my career and broadened my positive attitude towards my life as an anesthesiologist. The mission took place in the countryside, where patients in the local area could have more convenient to access to the hospital for operative treatments. The more patients who come, the more experiences I earned. The more experiences I earned, the greater challenging events, clinical practice and skill learning I achieved. The outcomes were beneficial for both of my training and those patients who were in need. The mission was arranged in Nan hospital, which was totally new to me, the co-workers also consisted of different volunteers from various hospitals. Visiting new places, meeting and working with new colleagues for some special occasions would offer a great experience rather than working only in my hospital. Before the event, I had expectations similar to the reason that made me join this mission. Moreover, I expected to visit some tourist spots of the host city as part of recreational activities after long and hard working days. Subsequently, the mission went through and everything was smooth and well-organized, the only thing that did not meet my expectations was the amount of the patients that was not as much as I expected, slightly less than that of previous missions in other provinces of Thailand. Approximately 40 patients underwent corrective operations during this mission. We took 3 days to finish all operations listed from the first day. On the final day of our stay, we went to some tourist attractions in the beautiful province of Nan and it was such unforgettable moments I could hardly find elsewhere. Likewise, the most valuable issue I learned from this mission, along with the hand skills of some procedures, seemed to be how helpful the operations provided are to those who live in the remote areas of the country, especially to the children born with congenital defects under poor socioeconomic status. According to available data, the population of Nan comprised of a considerable amount of hilltribe people who live great distances away in the mountainous areas. Some had difficulties traveling all the way down to Bangkok, even to Chiangmai, the nearest center with surgical facilities. Specifically, what has made me grow personally, as well as professionally, was learning how to work and manage the limited resources in unfamiliar place. In spite of the fact that medical devices were not as good and the number of surgical personnel were fewer compared to the center where I normally practice, I endeavored to integrate my personal capability and co-operate with my mentor and colleagues to perform the best and safe anesthetic care for children with cleft lips/cleft palates and other facial and limb defects in this mission. The concept of holistic approach was the most important part of my belief. I strongly believe that we, as a caregiver, should not cure our patients only for physical problems, but care for their mental issues and social status could also help them psychologically through our sincere and kind expressions while attending to the patients Probably, this might even be more important than treating merely biological diseases. Furthermore, what I found so impressive in this mission was the participation of high school students of an international school in Bangkok. A group of these students came along with the medical team to get to know lives of children and people in an upcountry region and learn from them as part of their social lessons. Also, they aimed to aid children in the mission by donating their toys, singing, drawing, telling stories and sharing their hope and warm-heartedness to children in need. All of them could learn much from each other and grew up together in hope that they will become part of those who make our world a better place to live for everyone in the future. It was so beautiful to see these heart-touching moments. Last but not least, the educational value of the mission was a thorough understanding in the complexity of how some patients suffered before they reached the medical care in the hospital. If I did not have a chance to attend this mission, I would never get such clear pictures of these difficulties. Indeed, this praiseworthy charity mission gave me profoundly more than just anesthesia practice. Thank you to Operation Smile Thailand for bringing me such a memorable experience, for showing me more positive aspects of my career, and most importantly, for bringing back smiles to children all over the world. Thus a challenge was what I was looking for, and a challenge was what I got. Contrary to my expectations, at my interview, I wasn’t set to specific tasks but I was given freedom to think of my own ideas to solve issues that the organization was facing. The location was in another companies’ office. It was in the back of the office of a company, which, one of Operation Smile Thailand’s board member’s is the CEO of. Situated near BTS Chidlom, this office was pretty modern and intimidating (for a high schooler), full of business-people types and was in a ‘prestigious’ location near central world. It was not what I expected. I sat next to the printer and coffee machine at the office, which is what I imagine, is the stereotypical intern’s cubicle position. Given freedom, I did many things. I researched the community service opportunities in different international schools, I researched corporations that could potentially sponsor the organization, I visited an international school to present operation smile, I worked for two days with a biomedical engineer to test and certify hospital equipment, I did corporate blitzes around the office building, I edited and updated a flyer and brochure in Japanese for operation smile, I went to different companies to present operation smile, I traveled around Bangkok on my own, and I probably did many more things which I have forgotten but all these experiences make this internship worthwhile. I plan to continue my participation through the summer as a personal project of mine. The internship was in short, awesome. I got to experience the many different aspects of the organization and exposure to many different fields. The time spent with the biomedical engineer may have helped me choose my future area of study and what I want to do in the future. The whole experience was a challenge for me, especially doing phone calls and presentations to different companies and schools. My comfort zone was definitely stretched and I definitely had lots of fun doing it. Most of all, knowing that my work would help children was a great motivator and kept me going through these two weeks. Of course, my work doesn't stop here. After my official internship, I plan to continue coming in to the office on a few days and helping out where I can. 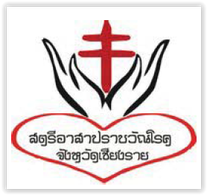 The volunteer ladies against Tuberculosis have followed His Majesty’s footsteps in the fight against Tuberculosis since 2009 in order to wiping tear and touching hearts of those poor-infected patients living in Chiang Rai, Northern Thailand.